One such ‘hoop’ is requiring the client get a medical prescription for custom orthotics. While some insurers are dropping this ‘hoop’ from their small print, the majority of insurance companies continue to impose this hoop – arguing that the medical doctor is the right healthcare provider to determine if their patient is a good candidate for orthotics. It should be obvious that a biomechanical brace (the orthotic) should be prescribed and provided by biomechanical physical therapists – not medical doctors. Nevertheless, this ‘hoop’ cannot be avoided for now, until government chooses to influence healthcare insurance. A second ‘hoop’ is demanding that the provider of the orthotic casts the feet using 3D Casting. This demand is purely for financial reasons. Yours truly, and so many other custom orthotic providers, moved away from 3D casting when Computerized Gait Analysis technology evolved. In fact, if you’ve received orthotics from me ever in my career (now 13 years! ), I likely casted your feet using Gait Analysis. Because this technology made casting orthotics easier, the number of orthotics claims went up. Hence the insurance company demand change. Now, 3D casting with lasers (something I’m familiar with), is the new ‘requirement’ if you plan to get reimbursed by your insurer. Well, to make your dealings with your insurer smoother, I purchased this 3D Laser Casting technology. Say goodbye to your insurance company battles over casting technique! But, still, the question remains: What’s the truth about orthotics? The answer(s) are muddy. One answer that is not muddy, is that, yes, orthotics help relieve foot, knee, and hip pains. It’s the ‘why’ that isn’t clear. Traditionally, the idea of how orthotics work is to correct alignment of the foot, ankle, knee and hips to make the lower body mechanics more efficient. And, while I do subscribe to this ‘theory’, it is not absolute that orthotics do ‘fix’ alignment. When you change the alignment of one joint (the ankle), a series of changes will occur up the kinematic chain. When a patient receives an orthotic from one provider with good results, it should be expected that a different orthotic from a different provider would provide bad results. This is not the case, however. 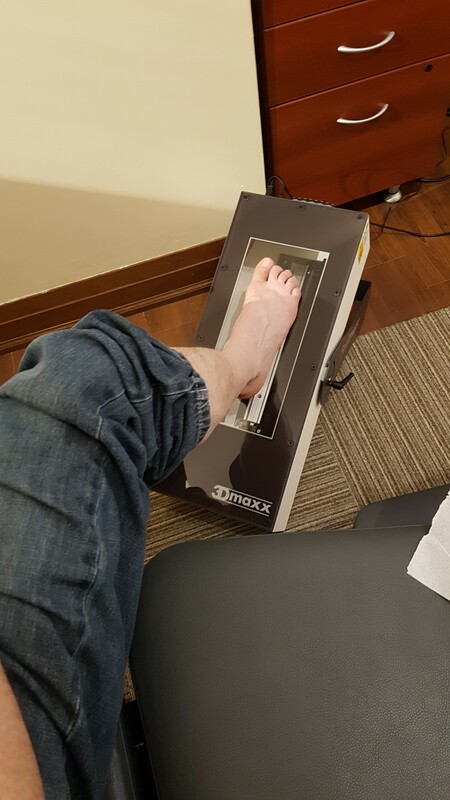 It would appear as though ‘any’ custom orthotic, regardless of the casting technique, design of the orthotic results in good results. If ‘alignment’ alone is not the source of success, what is? The answer might simply be ‘shock absorption’. The well-crafted orthotic absorbs a lot of the repetitive stress that would otherwise be endured by the feet, ankles, knee, and hips. The bottom line is that orthotics work. With that said, I’m a functional rehab chiropractor. I will do my best to treat and train my patients to have strength, mobility, and alignment first and foremost. If that recipe fails to solve the problem / condition / pain, then custom orthotics become a tried-and-true method for alleviating your foot, knee, and hip related problems. If you’re not sure if custom orthotics are right for you, come in for a visit. 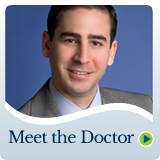 I’ll review your physical health history, perform a proper functional examination, and help you decide if custom orthotics is appropriate.